VitaScan Wi-Fi Module connect VitaScan LT to any device – Lap Top, Tablet or Phone – that has wireless connectivity. No need for distinctive device/computer to run the VitaScan LT software. Use your standard device/computer that you are using for other common tasks. 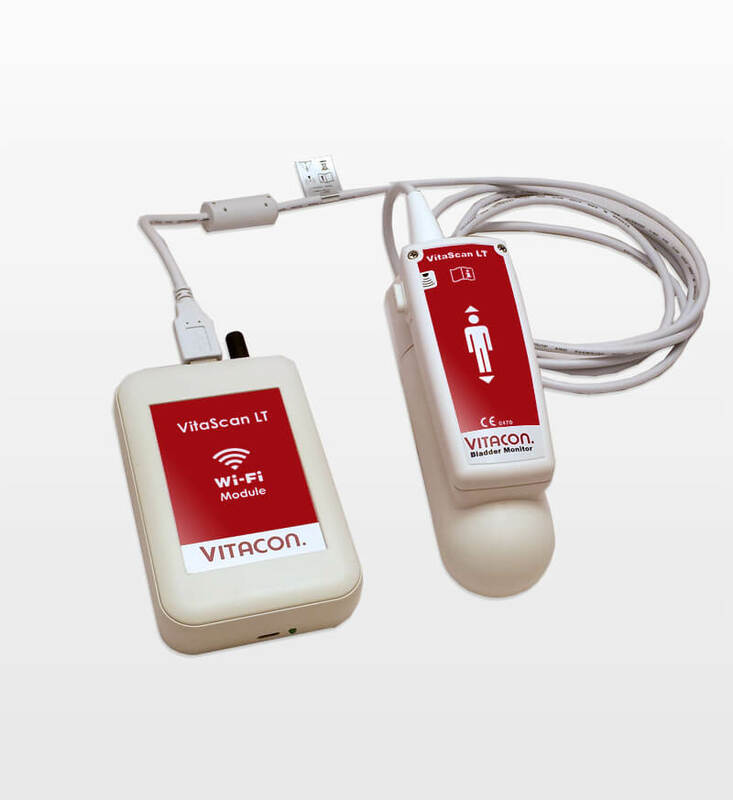 The VitaScan LT Wi-Fi module is a power full tool for mobile users, such as Home Care Nursing that already run patient records on Tablet. Only one Tablet may track Patient Records and perform Bladder Scanning. The VitaScan LT Wi-Fi Module is a self-powered device with a huge battery pack of 2500mAh. The battery pack can power the VitaScan LT probe for 5 hours continually scanning, – making it robust and reliable. The Module pairs up with any device via wireless network, and VitaScan LT software is been ported to support new operating system including Windows 10, Android OS, OSX.